My friends, family and writers know my summer-vacation ritual well. One early morning in mid-July, I leave my home and drive. I don’t stop until I reach Amarillo, Texas, 17 hours later, check into a Holiday Inn Express, and sleep for five hours. I then get up at 4 a.m. and don’t stop until I reach Louisville, Kentucky, 15 hours later. That’s 2,000 miles in two days. I check into a fancy hotel and crash. I stay in for an entire day because I need to rest; for the next two weeks, I’m going to be swimming in bourbon. 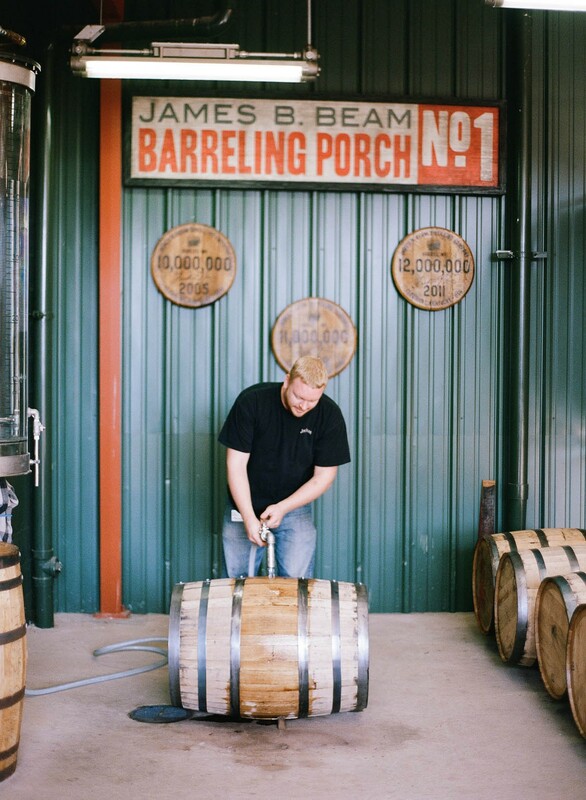 America is bourbon-crazy, and the Bluegrass State is turning into one giant distillery. 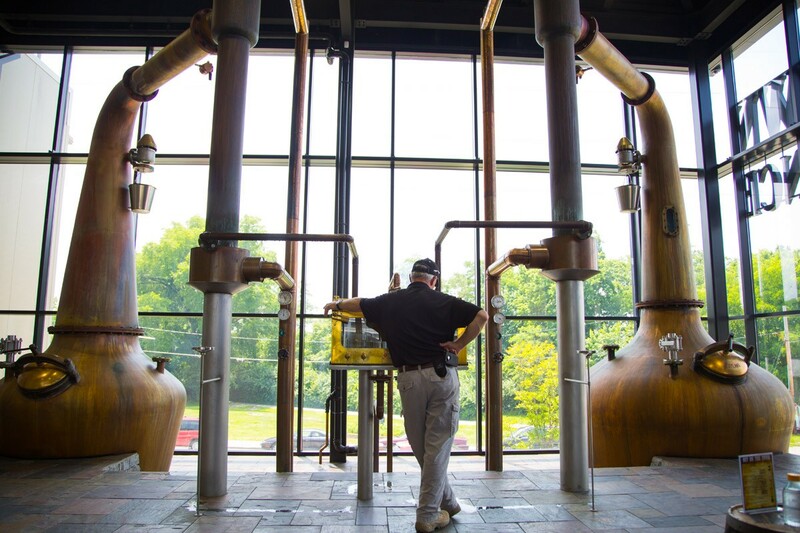 I’ve seen it with my own eyes over the past decade on Kentucky’s Bourbon Trail, a collection of big and craft distilleries that can barely keep up with worldwide demand for the most beautiful of hooches. Old factories have returned from the dead; new ones pop up seemingly every year. And there is no finer state to host such a scene than Kentucky. Don’t be fooled by Rand Paul, Mitch McConnell and other political losers: The state is gorgeous, the people kind, and there is no better ambassador for the region’s charms than its bourbon makers. I’ve visited nearly every stop on the Bourbon Trail, so here’s my cheat sheet. 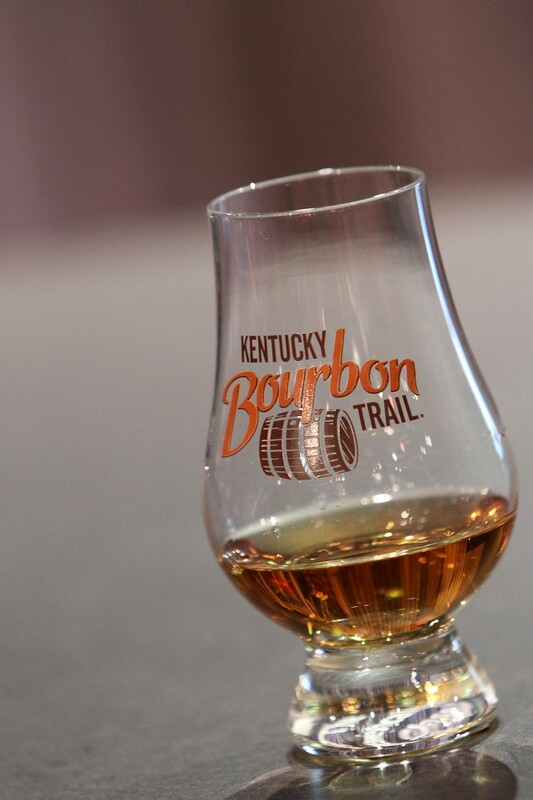 You might not have the huevos to drive the way I do, but that’s okay; what matters is that you hit Kentucky’s Bourbon Trail and let the spirit lead you to glory. Quick note: Not all the distilleries mentioned are affiliated with the official Kentucky Bourbon Trail (kybourbontrail.com). Make sure to note which are, though, because they’ll stamp the official Bourbon Trail passport available at all participating distilleries. Collect them all, and you get a complimentary mint julep cup—HELL YA!!! First and most important: Rent a car. Second: Eschew all paid tours. They’re nice enough and informative, but that means you won’t get lost trying to get to some of the distilleries. You want to get lost, as that’s where Kentucky’s rolling hills, gurgling creeks and horse farms—you know, the whole bluegrass thing—await you. You’re almost certainly going to land in Louisville (unless you’re monied and can hop to Lexington or have a personal, small plane and can squeeze into Bowling Green Municipal Airport), so make sure to begin with all the distilleries in the city limits. A great start is the Evan Williams Experience (528 W. Main St., Louisville, 502-272-2611; evanwilliams.com/visit), not only because it’s ideally situated between downtown and Nulu (one of the two hipster parts of the city; more on Nulu in my Louisville piece), but also because Evan Williams is what I call the Prince of the Paupers in the bourbon world. The black-and-white label (or white-and-black, depending on where you live) is considered a lower-shelf liquor, yet its flavor bests many mid-range brands. And its higher-end products are not just affordable, but best any Pappy you throw its way. The Evan Williams Experience is actually the least spectacular stop on the Bourbon Trail, only because of location: in an urban center, in a building, away from countryside. But it’s an ideal place for the novice because here’s where you’ll learn the distillery drill: exhibits and time lines place a bourbon brand in its proper context, a wise tour docent will answer every dumb question you have with Southern charm and Northern know-how, and you end with complimentary tastings (never unlimited) and a gift shop with swag and special deals you can only buy on-site. 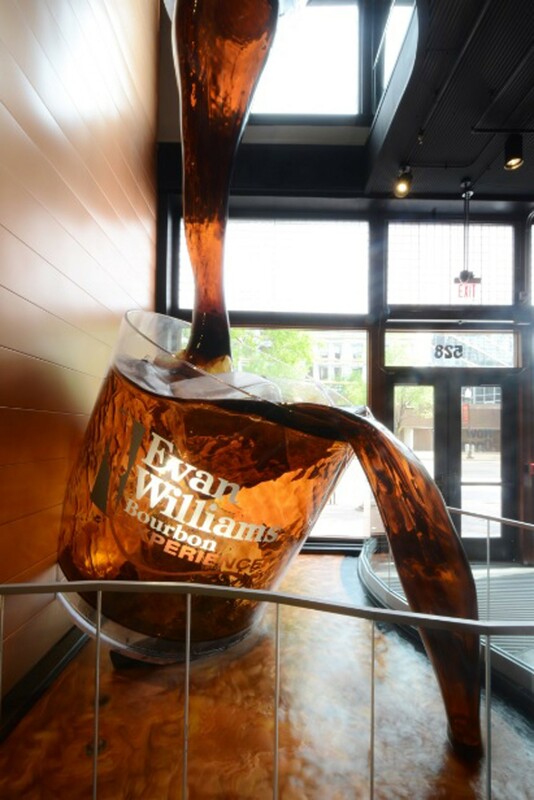 Plus, Evan Williams features what’s probably the coolest signature artwork of any distillery: a giant tumbler glass of bourbon hanging in the lobby, looking like the most heavenly waterfall on Earth. From here, go to the most futuristic distillery in the state, as well as one of the few non-bourbon ones: Copper & Kings (1121 E. Washington St., Louisville, 502-561-0267; www.copperandkings.com). It looks better suited to downtown Los Angeles instead of the Bluegrass State: the front resembles a Southern California native plant garden, and the gift shop and waiting room are in converted shipping containers—so hip! But Copper & Kings’ product is spectacular. 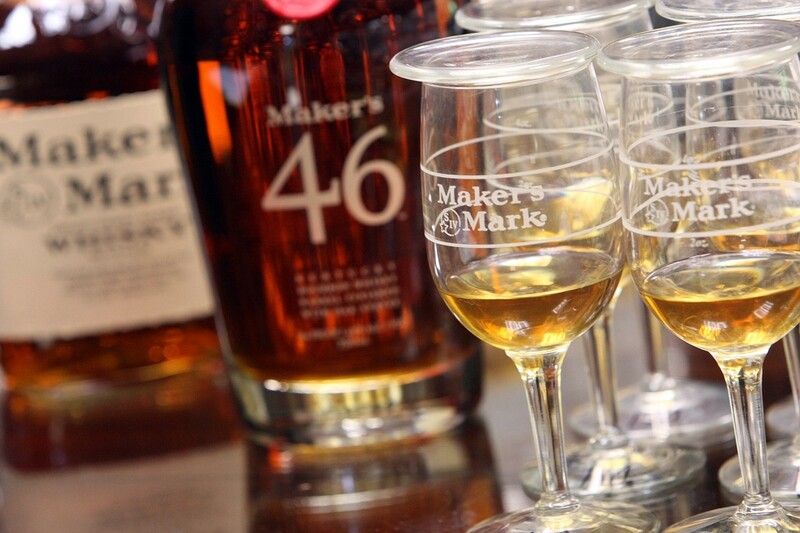 It’s among the best makers of American brandy, and its Butchertown label is strong and fruity. The company also makes absinthe, and though I’ve yet to taste its gin, I trust any hooch it may distill, so spectacular its products are. In OC, you can score Butchertown Brandy at Hi-Time Wine Cellars, which started stocking it after praise from us—BOOM. Another recent distillery is Kentucky Peerless Distilling Co. (120 N. 10th St., Louisville, 502-566-4999; kentuckypeerless.com), so young that its bourbon is still aging in barrels (the rye is finally available—can’t wait to try it this July!). It also sells moonshine under the Lucky Label; the hard stuff is gorgeous, but Peerless also sells flavored ones, the better to get tourists into the cult of white dog (a nickname for moonshine). While these urban distilleries are fast and fun, far more stately is the Bulleit Frontier Whiskey Experience (3860 Fitzgerald Rd., Louisville, 502-810-3800 bulleitexperience.com), located on the outskirts of Louisville at the historic Stitzel-Weller Distillery. Between the buildings and rickhouses (where bourbon barrels are stored to ensure proper aging), the Bulleit tour feels akin to a visit to a college campus, with Bulleit’s fine drink the thesis, dissertation and defense. Here is where I learned that James Bond was a fan of I.W. Harper’s bourbon, which 007 always enjoyed double and on the rocks. Bulleit has brought back that vintage label, in special hobnail bottles—insert Daniel Craig or Roger Moore joke here. More distilleries have opened around Louisville since last summer—Angel’s Envy (500 E. Main St., Louisville, 502-890-6300), Kentucky Artisan Distillery (6230 Old Lagrange Rd., Crestwood, 502-822-3042; www.kentuckyartisandistillery.com)—and I’m still waiting for Michter’s to open its spot in the city’s Museum Row. All in due time—after all, American livers demand it. 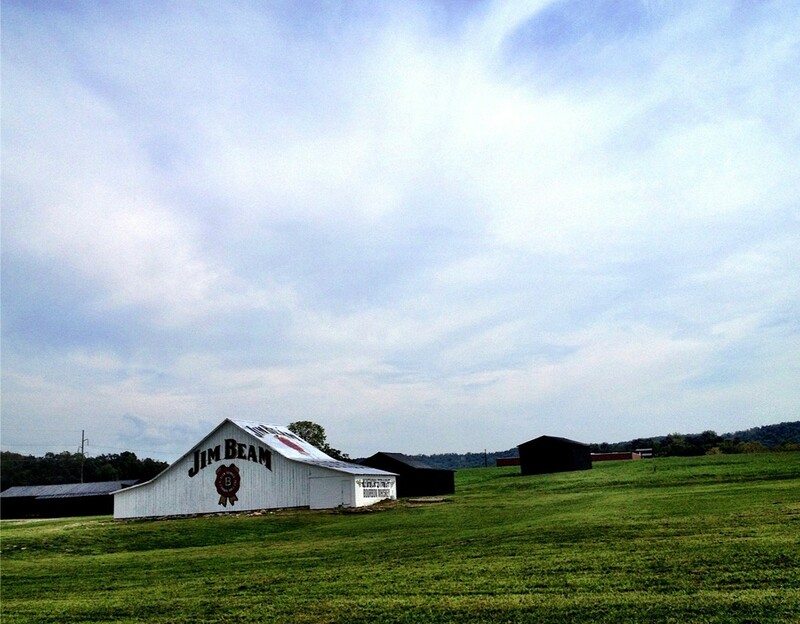 Even if you don’t like Jim Beam, you should visit its distillery. Frankly, you’re going to have to. If you’re going to go to the heart of Bourbon Country, you’re going to have to get off the Interstate 65 exit, and the Jim Beam American Stillhouse (526 Happy Hollow Rd., Clermont, 502-215-2295) is there to greet you. 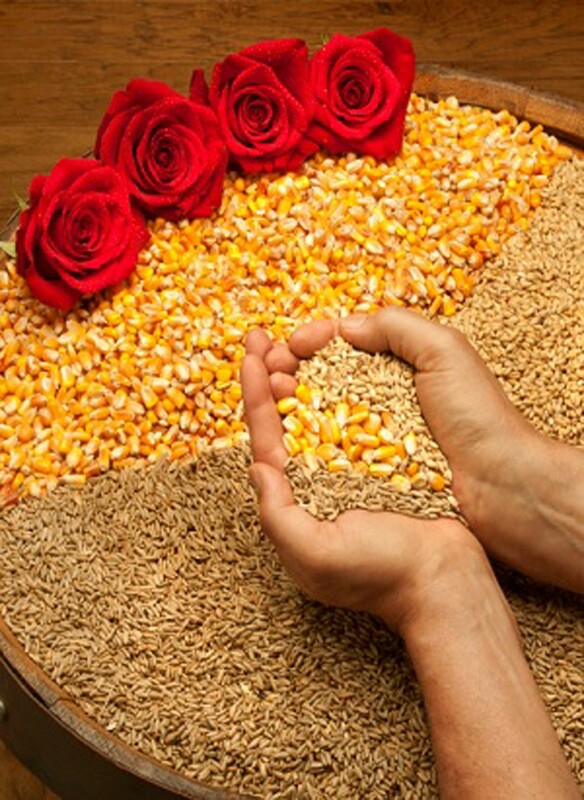 Jim Beam unfairly gets a bad rap. It was the first bourbon I loved, back in high school, and I still reach for its sweet, simple flavors over some of the higher-end stuff. 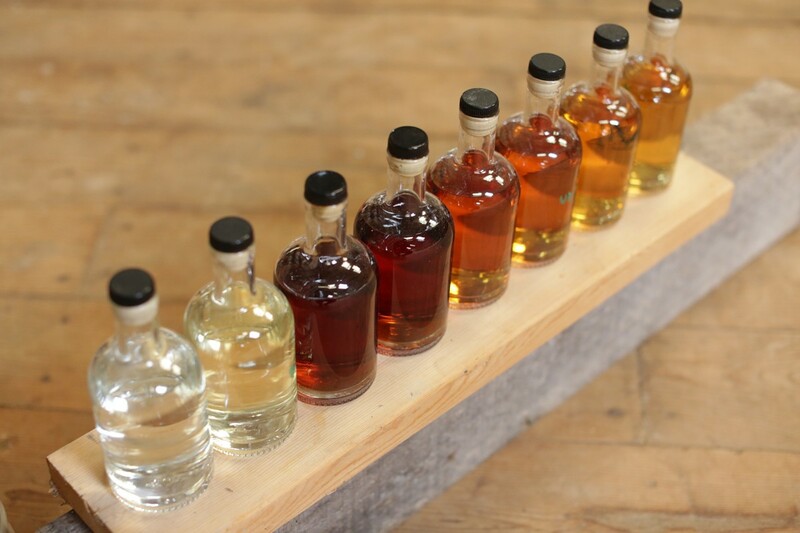 And sometimes, big is better: You don’t even have to do the full tour to get at the automated sample stations, where you can try everything from moonshine to Beam’s many flavored bourbons. Here is also the best food of any distillery because Fred’s Smokehouse actually serves traditional Kentucky dishes such as burgoo and smoked ham. 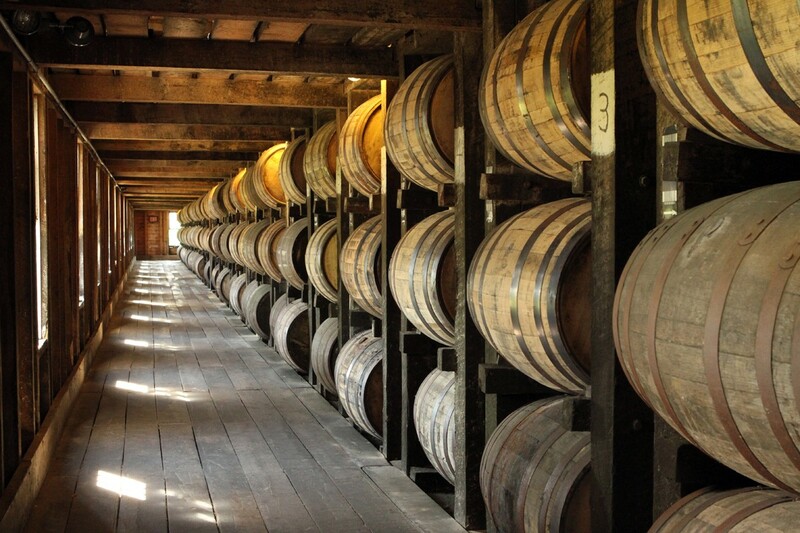 It’s a good start for the prize of the Trail: Bardstown, the Cooperstown of bourbon. Your drive there takes you through small towns, lonely roads, stunning forests and crisp air. Bardstown itself is a tiny city with bars, inns, museums and restaurants, all geared toward tippling tourists. There are festivals throughout the year, and the getting keeps getting better every year, as sales of bourbon continue rising—it’s like a perpetual-motion machine of good times. Your first stop isn’t actually a distillery, though. The Bourbon Heritage Center (1311 Gilkey Run Rd., Bardstown, 502-337-1000; heavenhilldistillery.com/visit-us), run by Heaven Hill Distillery, is the most comprehensive bourbon-history tour around, as Heaven Hill features brands with names of some of the spirit’s pioneers, including Henry McKenna, Bernheim Original and Elijah Craig. There’s even an exhibit in which you can “smell” bourbon in its various ages and see wood at different steps of charring. The Heritage Center also stocks the largest gift shop on the Bourbon Trail, where you can buy all the brands in addition to personalized gifts, shot glasses, hats, T-shirts and flasks. As you leave, you can see Heaven Hill’s iconic whitewashed rickhouses in the distance, guardians of tradition. Far humbler is the Willet Distillery (1869 Loretto Rd., Bardstown, 502-348-0899; www.kentuckybourbonwhiskey.com). You have to drive up a steep hill that can get muddy during the rainy season, then ramble through one-way unpaved roads toward the visitor center. But Willet is Willet—the best midrange brand of them all. Here, not only can you buy its distinctly shaped bottles (they resemble whiskey stills), but you can also buy a 1.75 liter version that’s exclusive to the distillery. Every once in a while, you’ll find rarities—I once bought a coffee liqueur made in the 1990s that’s so rare there’s no info for it online. But my favorite tour in Bardstown isn’t part of the official Bourbon Trail: Barton 1792 Distillery (300 Barton Rd., Bardstown, 866-239-4690; www.1792distillery.com). It makes Very Old Barton’s, a fabulous cheap bourbon that doesn’t retail in California. Even better, though, is its Chocolate Bourbon Ball cream liqueur—think a bourbon-based Bailey’s, but sweeter and stronger. You can only buy this liqueur at the Barton gift shop—and there’s a max of six per customer. 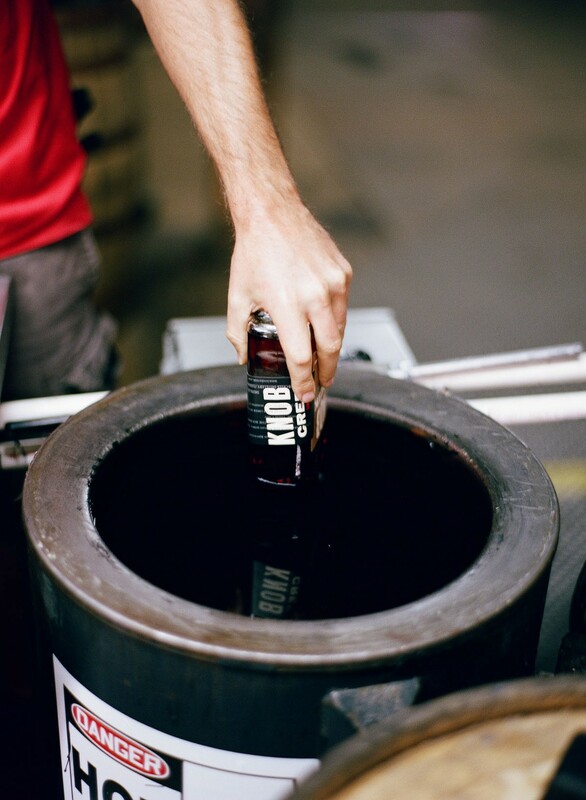 Plus, if you do a free tasting, you can keep a bung—what we Yankees would call the cork of a barrel. If you’re in Bardstown, you might as well drive half an hour farther to Lebanon (pronounced “Leb-eh-nen” by the natives). Here stands Kentucky Cooperage (712 E. Main St., Lebanon, 270-692-4674; www.iscbarrels.com/tours), one of the biggest bourbon-barrel makers in the world. For free, you can take one of the most delightful tours I’ve ever been on, a one-hour walk through a factory that’s a combo of automation, sweat and toil, and Victorian steampunk madness, as fires belch and steel hoops roll above your head on tracks (no pictures, though). You can buy mini-barrels afterward—even a big boy, if you have the room. And since you’re here, go to Limestone Branch Distillery (1280 Veterans Memorial Hwy., Lebanon, 270-699-9004; limestonebranch.com), a tiny distillery that sells flavored Sugar*Shine hooch and Yellowstone bourbon—both affordable buys. So much to write about, so little space. Buffalo Trace (113 Great Buffalo Trace, Frankfort, 502-696-5926; www.buffalotracedistillery.com) isn’t a Bourbon Trail participant, but it remains a citadel that features rickhouses, gargantuan stills with corn turning into mash, one hell of a gift shop, and a lot of shade. Afterward, get a breakfast or lunch at Rick’s White Light Diner (114 Bridge St., Frankfort, 502-696-9104; www.whitelightdiner.com), run by an irascible progressive who makes the best Cajun and Creole food in the region using all the sustainable, organic product he can get. So much more. The Woodford Reserve (7855 McCracken Pike, Versailles, 859-879-1812; www.woodfordreserve.com/distillery/tours) tour in Versailles (pronounced “Ver-sails” by the natives) is elegant; the Wild Turkey (1417 Versailles Rd., Lawrenceburg, 502-839-2182; wildturkeybourbon.com/visit-us) one was rustic (a bourbon barrel made to resemble a turkey outside the entrance) when I visited years ago, although I’ve heard it’s been significantly upgraded. Four Roses (1224 Bonds Mill Rd., Lawrenceburg, 502-839-3436; fourrosesbourbon.com/visit-the-distillery) is small, but the bourbon is mighty. Want more? Wilderness Trace Distillery (4095 Lebanon Rd., Danville, 859-402-8707; wildernesstracedistillery.com) makes a superior vodka and rum from sorghum. Up in Newport, just across the Ohio River from Cincinnati, is New Riff Distillery (24 Distillery Way, Newport, 859-261-7433; newriffdistilling.com), and in the same lot (though, bizarrely, in a different city) is The Party Source (95 Riviera Dr., Bellevue, 859-291-4007; thepartysource.com), one of the largest liquor stores in the country. Even better: It allows tastings (it’ll cost ya, but who cares!). By the time I finally return to Orange County, my car is a rolling liquor store. Very little of it is for me, though. I give most of it away as gifts to friends, family and writers—not only out of love, but also as a challenge: Are you a true bourbon lover? Then get on the Bourbon Trail, and visit my old Kentucky casa.